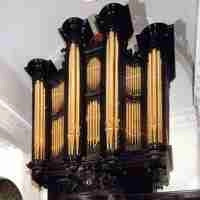 Noel Mander started working on his own account in organ building in 1936. 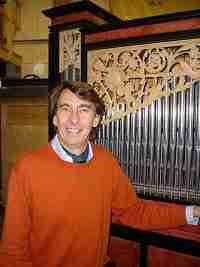 His lineage can be traced back to the 18th century organ builder, George Pike England. Following a break during the war years, the firm moved into its current premises in the east end of London in 1947. Here was a Victorian school, which had been closed down before the war and belonged to the London Diocese. After the war, when rationing and shortage of materials ruled the day, he worked closely with London Diocese to rescue organs from damaged churches and to provide rebuilt churches with instruments at reasonable cost in spite of the stringent times. During the 1940s, the firm expanded rapidly and by the 1960s had been involved in a number of prestigious projects. 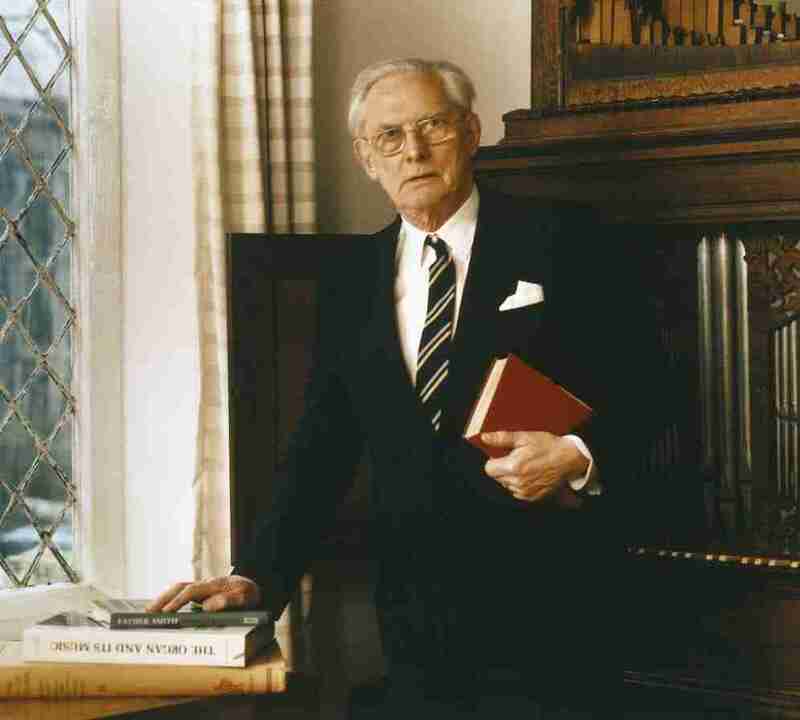 Noel Mander's particular interest in antique chamber organs gained him an unequalled reputation for their restoration to standards that, at the time, were well in advance of normal practices. The revival of interest in classical organs with mechanical action did not go unnoticed and the firm built a number of such instruments early on in this classical revival. In 1978, Her Majesty the Queen awarded Noel Mander membership of the Order of the British Empire in recognition of his services to organ building for over 50 years. Undoubtedly, the crowning glory of his long and distinguished career was the rebuilding of the Willis organ in St. Paul's Cathedral, which was completed in time for the HM the Queen's Silver jubilee in 1977. He retired in 1983, leaving examples of his work in the Middle East, America and Africa, as well as closer to home. He left an experienced team of organ builders, well able to further the high standards for which the firm had become known. 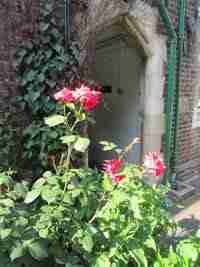 Noel Mander died in 2005 and some of his ashes are in the flowerbed outside the organ works, underneath a rose bush, which was donated in his honour by members of the firm. On the retirement of Noel Mander, the reins were handed over to his son, John Mander. Whereas the majority of the work the firm had undertaken under Noel Mander's guidance had been the restoration and rebuilding of existing instruments, the emphasis now changed to building new organs. 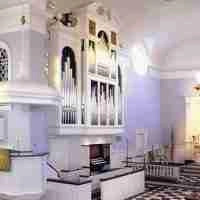 New instruments were built for churches and other institutions in many parts of the world. These can now be found in North America, Japan, Australia, Scandinavia, the Middle East and Africa, as well as closer to home. Some of these organs, such as that at St. Ignatius Loyola in New York, have become landmark installations, attracting organists from all over the world. All, whether large or small, are still built to the same exacting standards with a warmth and versatility almost unique to Mander Organs. In 2002, Mander Organs was awarded the "Queen's Award for Enterprise", the only firm of organ builders ever to receive this honour. Unlike any other honour awarded by Her Majesty the Queen, this one is conferred on the whole organisation and not just an individual in an organisation, in recognition of the collective achievement of an enterprise. HM The Duke of Kent presented the award to the assembled workforce on the 7th of May 2003. Founded on the principles of restoration originally established by Noel Mander, Mander Organs has furthered its experience in restoration work, carrying out restoration to museum standards entailing extensive research and carrying out the work without compromise. On John Mander’s retirement at the end of 2018 the company’s shareholding was transferred to an Employee Ownership Trust, giving all members of staff a stake in the future of the business. John was succeeded as Managing Director by former Head Designer, Geoff McMahon, who first joined the company in 1988 soon after graduating from the University of Oxford. Geoff spent a total of thirteen years in the drawing office, during which time he was responsible for such projects as the Royal Albert Hall and the chancel organ at Peachtree Road United Methodist Church, Atlanta. Head Voicer, Michael Blighton, who has an uninterrupted service record with the company dating back to 1980, joins Geoff on the Board as Tonal Director. Together with their new co-owners, both are committed to upholding and building on the legacy for which they are now responsible, whether in the historically-informed restoration of organs of good pedigree, or the creation of new instruments of mechanical and tonal distinction.